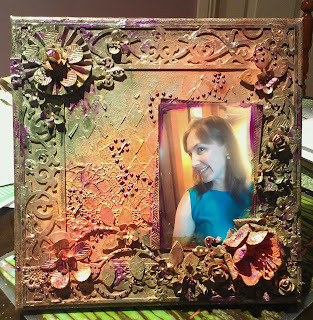 My latest project created for a Class i will be teaching at a local scrapbook store. 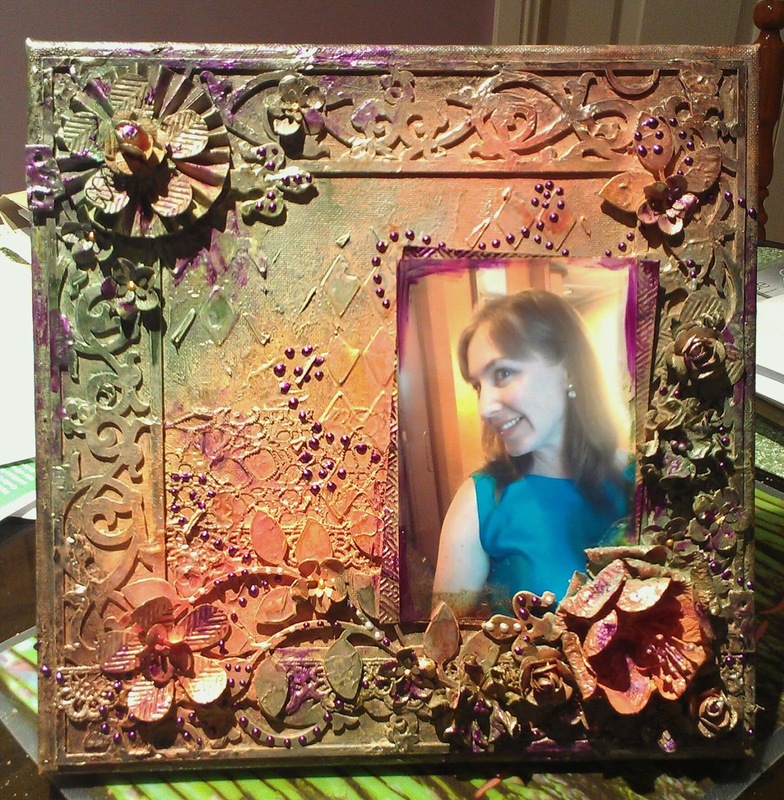 This is a canvas made using various flowers and chipboard pieces and covered with a layer of gesso then sprayed with Tattered Angels glimmer mists. I have tried to create a lot of texture on the page using stencils with Gesso, various doilies, laces, dry embossing techniques and layering various elements together.